It didn’t just rain, it poured on Sunday! We Filled the Bin…twice with essential personal care items for our local partners, St. Francis Center and MetroCaring. Donations weighed in at 503 pounds of full-sized and travel-sized items! Thank you for continuing to make a big difference in small ways, loving our neighbors who are served by these partners doing great work in the city. Purchasing personal care items is often out of reach for families struggling to make ends meet and yet access to these items provides dignity and healthy hygiene for a brighter future. 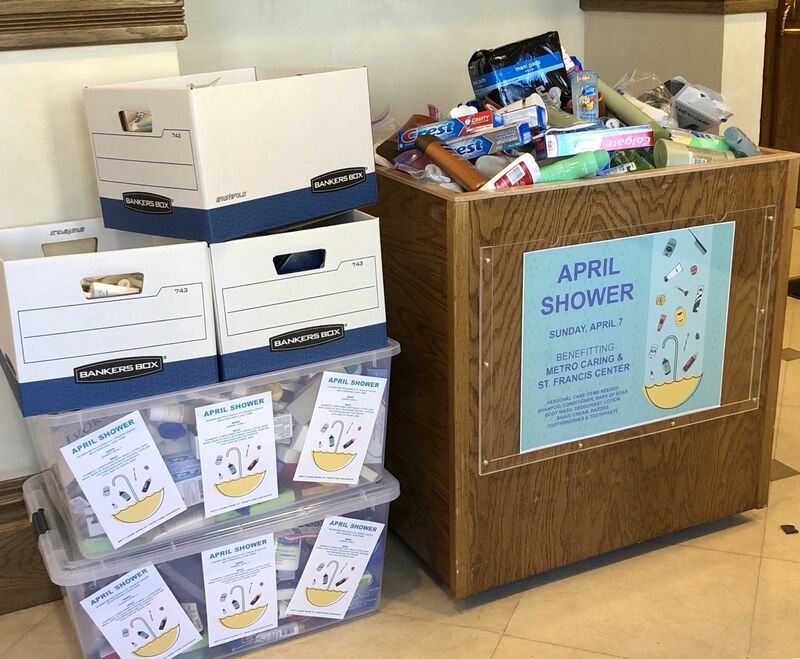 Please continue to use the bin outside Fellowship Hall to make donations of travel- and full-sized personal care items along with disposable diapers, baby wipes and toilet paper in support of area families getting stable.